This boat can sleep two couples without having to convert the dinette in the saloon each evening. 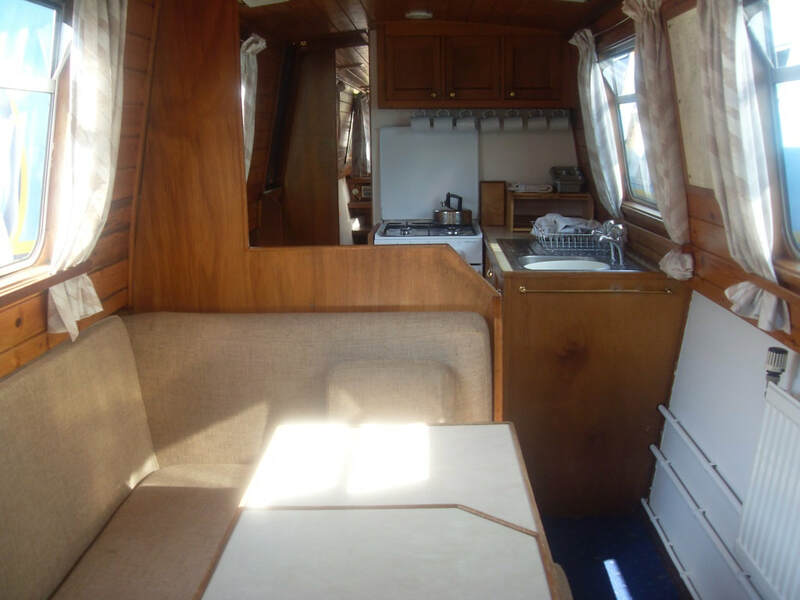 The rear cabin has a permanent double berth, with an interior sprung mattress. 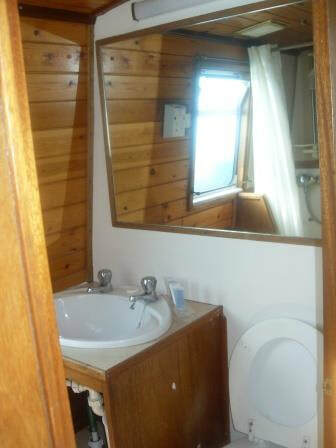 The centre cabin has bunk berths, the lower of which pulls out to make a double with a single above. The bathroom is fitted with a shower bath.